Welcome Philip John Reeves, esq. I love discovering the functionality and beauty in any home or product. As a real estate agent, I help my clients discover whether the living space we’re looking at is just a house or if it’s their next home. I admit that I’m obsessed with following the latest happenings of our capital city, just like a farmer follows the weather (that analogy is the Midwesterner in me!). If the key to real estate is location, location, location, then my detailed knowledge of the flow of the city is exactly what you need. Whether you’re looking for a house to settle down in and enjoy a quiet life, or rather a home base to enjoy the city, I’ll make it happen. Even if your circumstances change, you’ll still have an investment for your future happiness. A lawyer by trade, I find that real estate sales and negotiation bring out the best in me! When you work with me, you’ll have the benefit of my zealous advocacy, the negotiation skills of a middle child (we all know what that means), all the charm from my home state of North Dakota yet all the toughness of a long-time East Coaster, and a little sophistication derived from a life thoroughly lived — I have some really good stories! I try to put myself in your shoes, both as a homeowner myself and as a past client! 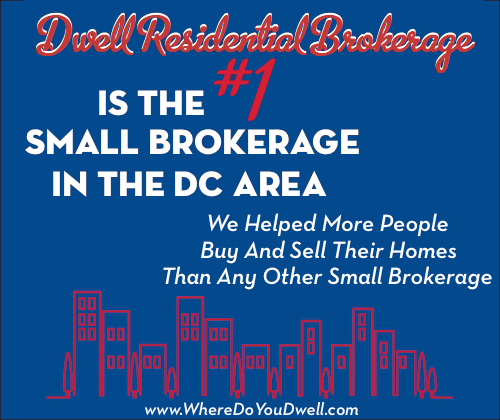 I bought my first home with Dwell Residential Brokerage and loved my experience so much I decided to quit my day job as an attorney and help everyone I know have the same great experience buying a home that I did. I understand the commitment often involved in making these decisions, especially the importance of buying a home. I will do my best to give you the most pleasant experience possible and provide the guidance you need. My main focus is on satisfying your real estate dreams and having me do all the hard work for you. You are a busy person, that’s why I am here! I make sure that no text, email, or voicemail goes unanswered. And don’t let my Midwestern good-mannered gentility fool you, I’m a tough negotiator and will fight for you and your home so you’ll be happy in the end. I can help first-time homebuyers and real estate veterans avoid some of the many pitfalls of purchasing and selling. With my keen eye for detail, scrupulous objectivity, and a definite persistence, you’ll be ready for each step along the way. I know you will walk away with a positive real estate experience and a home that has beauty and function. I’ll make sure of that! My life on the side: I am an excellent chef, a competent DIYer, a perfectionist handyman, an amateur artist, and a dog lover. You can contact me at Phil@agsbuyeredition.com/wheredoyoudwell for any of your real estate needs or just to say hi.